The Royals announced today that they have chosen not to exercise their $8 million option on closer Joakim Soria for the 2013 season, triggering a $750,000 buyout. Soria is now a free agent. Both Soria and the Royals seemed optimistic that a deal would be reached in the past. Soria is only 28, however the right-handed closer missed all of the 2012 season after having Tommy John surgery on his right elbow in April. This was the second time in Soria’s career that he has been forced to undergo the procedure. Soria is already rehabbing his repaired elbow and has been throwing two to three times a week. 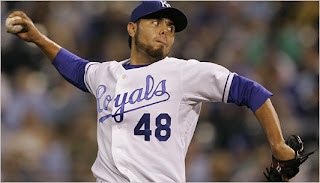 Despite declining Soria’s option, it is possible that Kansas City could still work out a deal to keep Soria. 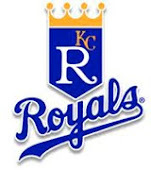 It has been reported that the Royals planned on declining the option while negotiating an incentive-laden contract with Soria. Kansas City now faces a difficult decision in whether or not to keep Soria. He is coming off a severe injury, and the closer’s numbers declined in 2011 after his stellar 2010 season. However, Soria is a fan-favorite, and the market for closers is very weak this offseason. If the team wants to have a quality closer, there aren’t many better options out there than Soria. Another possible outcome is that the team may find Soria to be too pricey and choose to spend money on a starting pitcher or another bat. If the Royals went this route, they’d have to sign a cheap bullpen player to be the closer, or use someone currently on the team. It comes down to how much the Royals willing to spend. Soria has 160 saves and a 2.40 ERA in his Royals career, and was named an All-Star in the 2008 and 2010 seasons. One of the saddest things that has come with the demise of the Kansas City Chiefs organization is how poorly the team has played at Arrowhead Stadium, once considered one of the toughest places to play in the country. 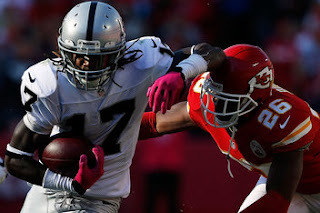 Kansas City lost to Oakland on Sunday, the Raiders’ sixth straight win over the Chiefs at Arrowhead. The Chiefs are heading towards historically bad territory. For starters, the team has not led in regulation this season, the first time since 1940 that a team has gone this deep into the season without having a lead at any point in regulation play. 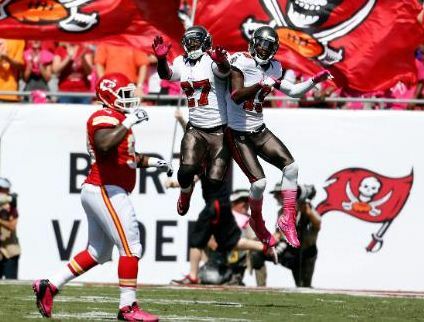 The Chiefs lone win came in overtime over the lowly New Orleans Saints. The biggest problem for the Chiefs continues to the turnovers – Kansas City committed four more on Sunday and now leads the league with 25 giveaways. Despite once again giving the ball away at will, the Chiefs had a few bright spots offensively. Matt Cassel replaced the injured Brady Quinn and had a decent outing, connecting on 20 of 30 attempts for 218 yards. Quinn looked awful before leaving the game with a head injury, suggesting that the coaching staff once again blew a personnel decision. 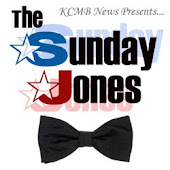 The biggest question mark from this game surrounds Jamaal Charles – the Chiefs top offensive weapon was given only five carries in the game, and head coach Romeo Crennel had no explanation as to why Charles wasn’t used more. Cassel ended up being the team’s leading rusher with 35 yards, and Peyton Hillis also received four carries. There is no way to sugarcoat anything surrounding the Chiefs – this team is really bad and needs to fire its GM, head coach and his entire staff this offseason and start over. 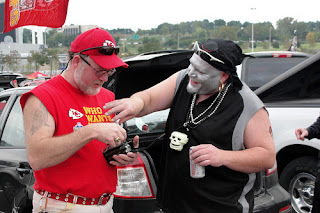 Kansas City fans can only hold onto the hope that the team’s next GM will not blow the Chiefs’ top draft pick in 2013, and that brighter days are ahead. 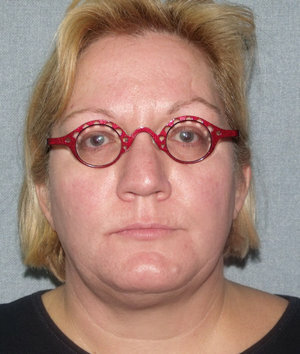 The death of Ridgeway has become a hot local topic due to her family in the area. Ridgeway’s father, Jeremy Bryant, as well as her other family members addressed the media today in response to Sigg’s arrest. 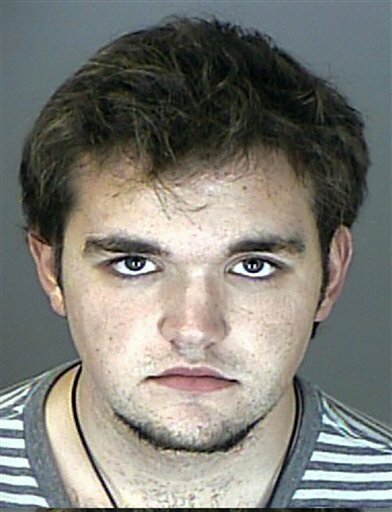 Sigg’s mother told police that her son had turned himself in, but it is believed that she actually called the police department. 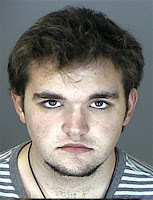 Attention has now shifted to who exactly Austin Sigg is what his motives were behind a violent killing of a young girl. Acquaintances and neighbors of Sigg described him as “goth” and a bit of a loner, often dressed in black and could be seen on a skateboard or scooter. Sigg was reportedly interested in mortuary science, but it is unknown what classes he was currently taking at Arapahoe Community College. Sigg will also be charged with the attempted kidnapping of a 22-year-old woman in another area park, an incident where a runner fought off an individual (thought to be Sigg) who tried to put a rag soaked with chemicals over her mouth. Hopefully Sigg’s arrest can allow Ridgeway’s family to begin to feel some closure, and let a community that has been shaken to its core begin to heal. Sigg is scheduled to appear in court today, and will most likely be charged and convicted of first-degree murder. Some has speculated that Sigg may have not acted alone; more details should surface as Sigg’s statements and testimonials are made public. Johnson County has had yet another hit-and-run death, the second occurrence in the last month. Police are currently searching for a driver who failed to stop after hitting a pedestrian late on Tuesday in Overland Park. 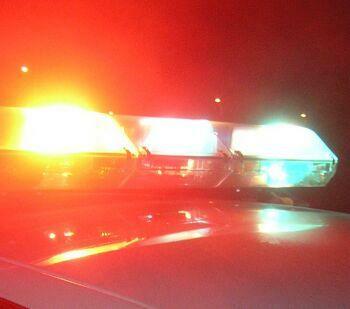 The incident occurred around 10:40 p.m. last night near West 71st Street and Metcalf Avenue. A 35-year-old woman was hit by the driver and then rushed to the hospital by emergency crews. The woman died a short time later from injuries she sustained from the crash. The Overland Park Police Department is currently investigating the incident. This alarming trend is a sad recent development in the Kansas City area. It is one thing to accidentally hit someone while you are driving, but only the lowest human beings on the planet would actually drive away and leave the person they have just struck to die. Accidents happen in cars, and the penalty for accidentally hitting someone while you are driving is nothing compared to a hit-and-run incident that ends up costing someone their life. Much like the hit-and-run incident off of 1-35 that cost Christopher Randolph his life, alcohol could be a contributing factor to this situation. People drive when they shouldn’t, make a mistake that injures someone, and don’t want to face the penalty for driving drunk. Randolph’s killer was found, and odds are the person behind the wheel last night will get caught as well. These incidents should also serve as a warning to those who travel by foot at night. With no reliable public transportation and the way the metro is set up, people unfortunately routinely choose to drive impaired, especially on weekends. All Kansas City metro residents need to be aware that when the sun goes down, the roads are dangerous. That is the sad reality of the area we live in. Chiefs head coach Romeo Crennel has announced that Brady Quinn will start for Kansas City on Sunday, when the team plays rival Oakland. Matt Cassel has been cleared to play following his concussion injury against Baltimore; however Cassel’s poor play to start the year has earned him a spot on the bench. Cassel has been an enormous disappointment this season, throwing for only five touchdowns next to nine interceptions and a 66.2 QB rating. His fumbles and interceptions have routinely forced the Chiefs defense to defend a short field, and has neutralized a successful ground attack lead by the dynamic Jamaal Charles. To make matters worse, Cassel signed a huge six year, $63 million contract when he was brought to Kansas City by GM Scott Pioli, which makes his poor play even more frustrating to Chiefs fans. Enter Brady Quinn, the former first round pick out of Notre Dame who has only 393 career pass attempts. Quinn’s career rating is only 65.4, and he has actually produced worse stats than Cassel when he has seen the field for the Chiefs this season. Quinn has shown some flashes of the talent that led to the Browns drafting him in the first round, and Chiefs fans have to hope that Quinn will improve as he gets more playing time. Crennel has stated that he hopes this move helps shakes things up a bit, and that he plans on sticking with Quinn for the foreseeable future. The Chiefs have stated they are not giving up on Cassel, but this move seems to signify that his days in Kansas City are numbered. Since enjoying a pretty good season two years ago, Cassel hasn’t played well and cannot stay healthy. Is Quinn the answer? Probably not, but he has shown some flashes of arm strength that Cassel seems to lack. Cassel’s contract and play will likely lead to his exit at the end of the year, and Quinn now has a second chance to earn an NFL starting job. Many also believe that the Chiefs could take a quarterback in next year’s draft, especially if the team continues to lose and finds itself with a top-five pick. It is very likely that the Chiefs could resign Quinn this offseason and let him compete with and help groom a rookie quarterback when the 2013 season begins. There has been a lot of talk about the new paving on the Kansas Speedway, and Sunday’s Hollywood Casino 400 showed why. The race featured a Kansas Speedway record 14 cautions for 63 laps, and was eventually won by Matt Kenseth. The Speedway’s new revamped conditions, which feature more steep variable banking, has become the talk of the racing world this morning in the aftermath of a race filled with cautions and accidents. Many cars had tire problems that led to cautions, while other cars spun out on the tracks fast surface. Kenseth won the race despite driving a damaged car, as he banged his Ford into the wall halfway through the race. Martin Truex Jr. finished second in the race, and Paul Menard finished third. Clint Bowyer, the crowd favorite from Emporia, finished sixth and is fourth in the Chase standings. Chase leader Brad Keselowski was able to avoid all of the accidents and finish the race, and he still leads Jimmie Johnson by seven points in the Sprint Cup standings. While the fast conditions and wrecks grabbed most of the headlines, Danica Patrick found a way to steal some of the spotlight. Patrick spun Landon Cassill on purpose after Cassill angered Patrick by bumping her earlier in the race. Those who made it out to the Kansas Speedway saw what was one of the most entertaining NASCAR races in recent memory. To put into contrast how crazy yesterday’s race was, just look at the STP 400, which was the final race on the Speedway’s old surface. 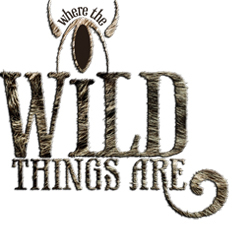 The STP 400 had only three cautions, while the Casino 400 more than tripled that. Will drivers be able to adjust to the new conditions at the Speedway, or are Kansas City racing fans in line to see more races like Sunday’s? Reports are surfacing that Chiefs wide receiver Dwayne Bowe is pushing hard for an exit from Kansas City. With the Chiefs tied for the worst record in the NFL, many predict that the team will deal Bowe in an effort to blow things up and gain a draft pick or young players in return. This really shouldn’t be a surprise to Chiefs fans, as Bowe did not receive a long-term deal from the franchise in the off-season. Bowe was given the franchise tag, and reluctantly signed his deal just a few weeks before the regular season started. Now that the Chiefs are 1-5, there is no long-term contract binding Bowe to spend his future with a bad team. Bowe will also be an unrestricted free agent this summer, and at this point it seems like there is no chance of him signing a deal in Kansas City. With Bowe’s days in Kansas City numbered, it makes sense that the team would trade him now to get something back in return. The biggest team being mentioned in trade rumors are the Miami Dolphins, who have some draft picks to deal after picking up extra second and third round picks by trading Vontae Davis and Brandon Marshall. The Dolphins have talent at running back and spent an early first-round pick on QB Ryan Tannehill, yet have few playmakers at receiver. Bowe would give Tannehill a big body to throw to, and would immediately push the Dolphins into the playoff picture. Miami is tied for first in the AFC East, and with how bad the entire AFC has been this season, they would have a great shot to make the postseason. If the Chiefs make this move, it is clear they are planning for the future. The team already has a poor passing game, and losing its top wide out would cripple the KC offense. The Chiefs invested a first round pick two drafts ago in Jonathan Baldwin, however the young receiver hasn’t done much so far in Kansas City. The Chiefs had an opportunity to wrap Bowe up this offseason, but failed to offer him a long-term deal. It is clear that Bowe will be leaving Kansas City once the regular season ends, and it is important for the Chiefs to get something of value in return. Amid a doping scandal that has shocked the nation, Lance Armstrong has announced that he is stepping down as chairman of Livestrong, the cancer-fighting charity that he founded and sponsor of Kansas City’s Livestrong Sporting Park. Armstrong was not paid a salary for serving as the chairman of the Lance Armstrong Foundation, and he will remain on the 15 member board. Vice chairman Jeff Garvey, who helped Armstrong start the foundation in 1997, will now serve as the chairman. Garvey will handle the foundation’s strategic planning and handle many of the public appearances and meetings that used to be Armstrong’s responsibility. After Armstrong announced his departure from Livestrong, Nike cut all of its ties from the former cycling great, citing “seemingly insurmountable evidence that Lance Armstrong participated in doping and misled Nike for more than a decade.” Nike has stated that despite Armstrong’s scandal, the company will continue to support Livestrong. Armstrong’s huge fall from grace comes in the wake of a massive report compiled by the US Anti-Doping Agency last week, which detailed Armstrong’s widespread doping and how he convinced his teammates to join him. 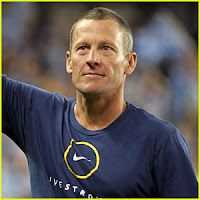 Armstrong won the Tour de France seven consecutive times from 1999 t0 2005 and has now been banned from cycling for life. All of Armstrong’s titles and cycling accolades are being erased as well. Armstrong has denied all of the doping charges, but he chose not to fight the USADA’s accusations and report through arbitration, citing that the process was unfair. 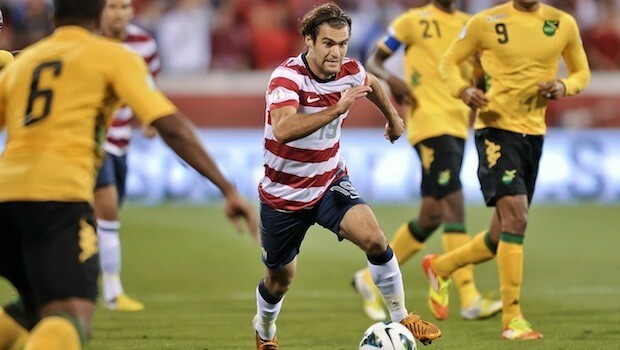 This has a profound effect on Kansas City as Livestrong is the primary sponsor of Sporting KC and has the naming rights to KC’s hottest new outdoor venue, Livestrong Sporting Park. Many predicted that these allegations could threaten the future of the foundation, which could have an effect on Sporting KC and the stadium. With Armstrong stepping down, hopefully the foundation will be able to focus on helping those who are battling or have been affected by cancer, and there will be no negative impact on Kansas City. 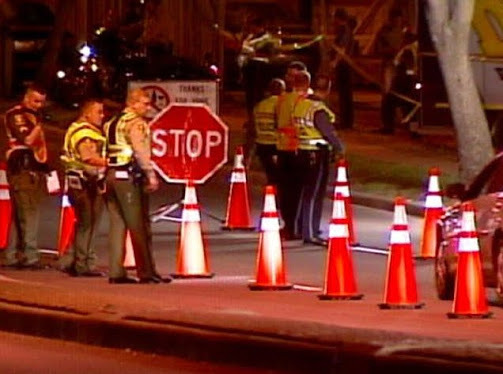 Drunken driving-related accidents have been increasing in the Kansas City area lately, and police are taking measures to make the roads around the metro safer. One part of this plan is to increase sobriety checkpoints, which will occur in Lee’s Summit this weekend. The Lee’s Summit Police Department’s traffic safety unity will conduct sobriety checkpoints and patrols this weekend, most likely in areas where DUI arrests and other alcohol-related incidents have occurred recently. 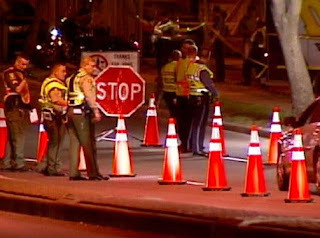 The police department has stated that its goal is to identify drivers who are under the influence of drugs or alcohol and remove them before an accident occurs. Several Kansas City residents have lost their lives in accidents that occurred in the early morning hours of a weekend night over the past couple of weeks, which has forced police in the Kansas City area to crack down. The lesson, as always, is to grab a ride with a friend or take a cab if you have been out drinking. 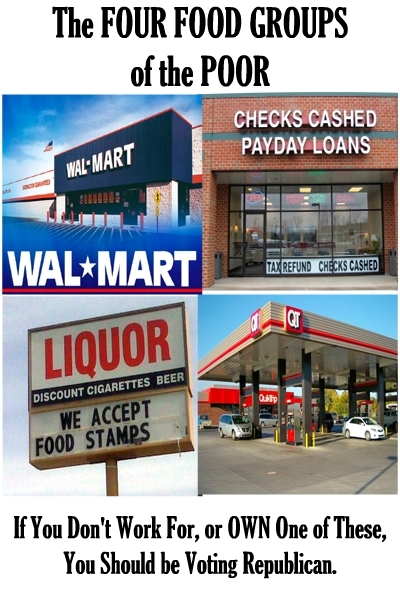 A little inconvenience or a few dollars is a much better alternative to losing your license, paying hundreds in fines or going to prison. 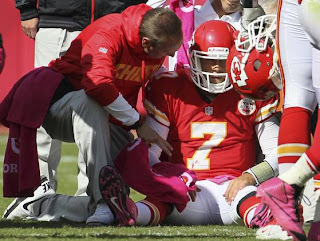 Matt Cassel’s concussion injury sustained on Sunday means he is doubtful for the Chiefs next game against the Tampa Bay Buccaneers. 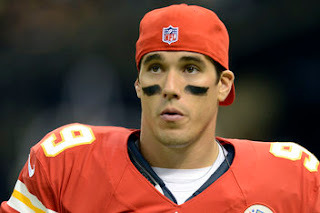 Thus, the Chiefs are entering practice this week planning on starting Brady Quinn. Chiefs fans have been screaming for Cassel to be benched for weeks, and now they finally will get to see a new QB under center. While head coach Romeo Crennel has not officially ruled Cassel out, the quarterback’s injury and poor play make Quinn the likely starter this weekend. Before getting hurt, Cassel was in the midst of one of the worst statistical seasons a quarterback has had this season, throwing for a league-leading nine interceptions with a quarterback rating of only 66.2. 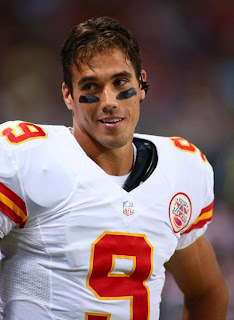 Brady Quinn’s arrival in Kansas City this offseason brought a great deal of intrigue, and now we are seeing why. Cassel has struggled with both injuries and inconsistent play over the past couple of seasons, meaning that whoever won the Chiefs’ backup quarterback position would have a great opportunity to play. After a stellar career at the University of Notre Dame, Quinn was selected in the first round of the NFL draft. Quinn has struggled to find playing time in his six year NFL career, throwing for a paltry 1,934 yards with 10 touchdowns, nine interceptions and a lowly 67.3 quarterback rating. Kansas City fans are hoping that he can live up to the potential that made him a first round draft pick, but the play over his career should not inspire anyone with a great deal of confidence. The good news for the Chiefs is that Brady is a traditional quarterback like Cassel, which means the offense does not need to make any drastic changes (as it did when Tyler Thigpen took over at quarterback several seasons ago). Tampa Bay has one of the weaker pass defenses in the NFL, which means Brady should have a good opportunity to get comfortable and have a decent game. Kansas City fans even went as far as to fly a banner over Arrowhead Stadium calling for Cassel’s benching. Now, they will get to see if Quinn can do any better. After getting blown out last week by the San Diego Chargers, the Chiefs’ backs are against the wall. At 1-3, the team faces a must-win situation on Sunday. Unfortunately, that win will have to come against the 3-1 Baltimore Ravens, who have looked like one of the best teams in the league so far this year. The Ravens have been traditionally known as a defensive team, however their offense has played well this year. Joe Flacco has slowly turned into one of the better quarterbacks in the league, and he is enjoying a very efficient season so far. Flacco is surrounded by talented skill position players like running back Ray Rice (on his way to another big year) and receivers Torrey Smith and Anquan Boldin. The Ravens’ defense is also playing at a level Baltimore fans are accustomed to, having only given up significant points in one game this year (a close win over the Patriots). 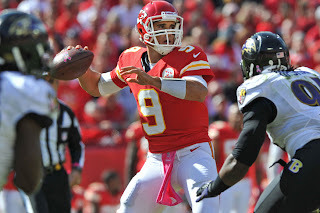 The defense’s strengths and weaknesses actually match up perfectly against the Chiefs – Baltimore has struggled with its pass defense but its run defense has been stout. 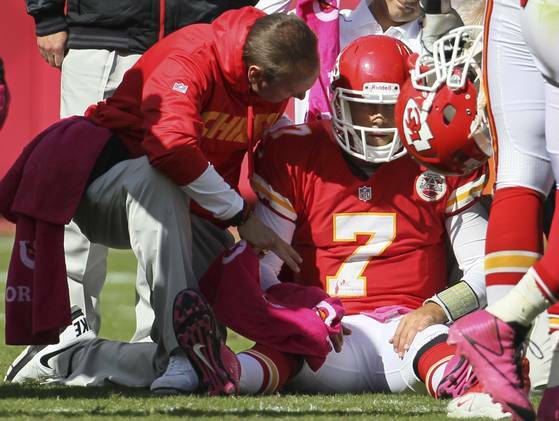 For Kansas City, everything starts and ends with Matt Cassel. The Chiefs running game has been as efficient as ever this year and Jamaal Charles has produced some big plays. Cassel, however, has struggled more than any other time as the Chiefs quarterback, and has already thrown seven interceptions this year (against five touchdowns). 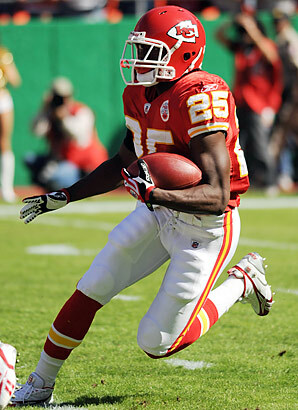 He has also fumbled three times, accounting for two-thirds of the Chiefs league high 15 turnovers. Defensively, Kansas City has really struggled defending the pass this year, giving up 10 passing touchdowns which is the second highest total in the league. The team will have to worry about both the Ravens’ dynamic receivers and Rice, who is averaging 5 yards per carry this season. The Chiefs defense will have to find whatever magic it discovered in the second half of its comeback win against the Saints. If the Chiefs want to have any shot of winning this game, they will have to avoid turning the ball over. The Chiefs lead the league in turnovers, and Baltimore has shown a penchant for forcing interceptions and fumbles. Kansas City will have to protect the ball and hope the Baltimore offense has an off game to have a shot in this one. Unfortunately, police officers have to use deadly force at times in their job. In the worst situations, an officer may have to open fire on a criminal who attacks police or is threatening the lives of others. Other times, an officer may have to use deadly force with… a taser? That is the situation that developed in Osawatomie, where a 32 year old man died after police hit him with a taser responding to a domestic disturbance. Travis L. Maupin had locked himself in his home off of Chestnut Avenue around 1:00 a.m. last night when police arrived at the scene in response to a domestic disturbance - Maupin had allegedly strangled a woman in his home. Maupin eventually came out of his home and was willing to talk to the police, however he ran away as paramedics began to check the woman for injuries. After setting off on foot, the Miami County police officers chased after Maupin and eventually caught up to him. When he resisted the officers, they hit him with a taser. 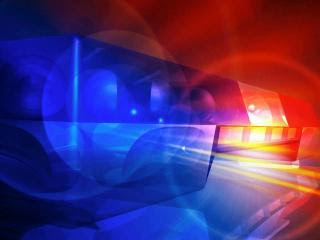 Travis Maupin was quickly rushed to the Miami County Medical Center, and was later pronounced dead. 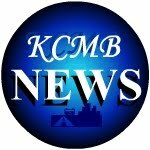 The Kansas Bureau of Investigation has been asked to look into the death of Maupin, as requested by Osawatomie authorities. The situation is bizarre, as the whole objective of tasers are to restrain people without causing them death or any serious harm. It is entirely possible that Travis Maupin had a preexisting health condition, or was under the influence of a substance that resulted in his death when the taser was used. The use of tasers by police officers has been a hotly debated topic for several years. Many feel like it offers the police a weapon for potential abuse, and that officers are too willing to use a taser since they know it will not kill the suspect. In the past, there have been examples of police using tasers too quickly or willingly, even on women and children. Others also argue that briefly electrocuting someone is a violation of basic human rights. Maupin’s death will only heighten this debate. Travis Maupin killed by police taser by KCMB Kansas City News, official kc news site with breaking stories on The Kansas City Royals, Chiefs, charity events, the 2012 MLB All Star Game, weather, sports, MU, KU, ufo sightings, dui checkpoints, Kansas City neighborhoods, nightlife, concerts, the Sprint Center, the Power and Light District and current Kansas City news articles. Over the weekend, Christopher P. Randolph Sr. was killed in a hit and run accident along I-35 in Johnson County. This morning, Kansas City police have announced that they have arrested and jailed a suspect in this case. Randolph was 41 years old and leaves behind six children as well as six siblings. 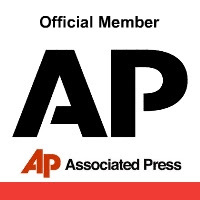 The accident occurred at 2:30 a.m. Saturday morning, when Randolph was putting gas into his minivan in a construction zone off I-35, just north of College Boulevard in Johnson Country. Randolph’s girlfriend, Charlsetta Redd, told police a car knocked over Redd, which led to other vehicles striking him as well. The suspect sped off in a 2010 silver Chevrolet Silverado pickup. After fleeing the scene, the driver of the pickup abandoned the vehicle. It was later found nearby with heavy front end damage. Randolph’s minivan had run out of gas, which forced him to exit his vehicle along the highway before the incident occurred. What is sad is that the cars along the highway refused to stop, despite repeatedly hitting Randolph. According to Redd, the final car dragged Randolph down the road while refusing to slow down. Sadly, the roads of the Kansas City metro have become incredibly dangerous any time after 11:00 p.m. on a weekend night. When people complain about DUI checkpoints being set up on the weekend, they need to keep stories like this in mind. Why people can't pay $15 for a cab ride is beyond me - it certainly is cheaper than losing your license, paying thousands of dollars in fines and spending years in prison.